ARE “STEAM CHASERS” CLEARING YOUR PROFIT? When you are a bookie, you would really like for your customers to be very casual bettors (also known as "squares"), or at the very least, not very good handicappers. Let's face it - that's what's going to give you a chance to make more money in the long run with your bookie business. But there are going to be those players among your clientele that are a little more "on the ball" than others. They may have more awareness of the value of a number and are interested in following what more experienced sports bettors are doing. They have a particular interest in something called "steam moves" and if you are going to be a successful bookie, you have to be aware of it. - A steam move is a phenomenon whereby a line will move after a preponderance of money from professional bettors (also known as "sharps") comes into the market on one side of a proposition, generally a point spread or total. This line move will happen rather suddenly, and it is highly unlikely that one of your players is actually going to be ahead of it. - Certain sportsbooks are more welcoming of sharps than others. So these moves tend to get followed at those outlets. However, the steam is usually created when a number of outlets have experienced a disproportionate amount of professional action, or action that comes from a single source that is most highly respected and/or feared. - There are ways you can look at certain data to deduce where the sharps are betting. One common way is to track the disparity that may occur between the percentage of tickets (or bets) that are written on one side or the other, and the amount of money that is wagered. For exampl, the Brooklyn Nets are a three-point favorite over the Sacramento Kings, after having opened as a two-point favorite. You see that 60% of the bets from the marketplace are on Sacramento, but 70% of the money is on Brooklyn. That is something that would explain the movement of the line; the PUBLIC is on the Kings, but the sharps are on the Nets. - There are various sources through which this kind of thing can be tracked in real time, including software designed for that purpose. Some of your players may have access to it, and they may be acting upon the information that they uncover from it. - Some of your players will do a little handicapping on their own, and look for a bit of external "help." Some of them might do nothing but try to hook on to trends they see in the market, as dictated by the sharpest, most respected players. - When a player is "steam chasing," he is following the moves by the professional bettors and wagering accordingly. So whichever side the pros seem to be on, that is the way he'll go. And he will try to do it as quickly as possible. The rationale is that while the public is wrong most of the time, the pros aren't. - If you are meticulously following your action, through the back-end management tools that are at your disposal through a great Price Per Head service, you will be able to detect patterns in your players and find the steam chasers. You may even know who they are before they start playing with you. What should you, as the bookie, do about steam chasers? - There is a school of thought that perhaps you should do nothing at all. Generally speaking, the pros are the ones who "steam" one side or the other, while the "chasers" are coming in behind that move. So they may be on the end of it, which means it is altogether possible that they have achieved no value at all. Does this make sense? Remember that with a solid Price Per Head service, the software offers the sharpest numbers, and makes the line moves instantaneously, so you don't have to manually act; you have, in effect, already reacted. - Do your best to follow what is happening in the market. So you should know which information resources you can use to see where the smart money is going, or get the software that accomplishes this. You'll be able to see all of this in real time if you're doing it right. It's very useful to pay attention; after all, that's your job. 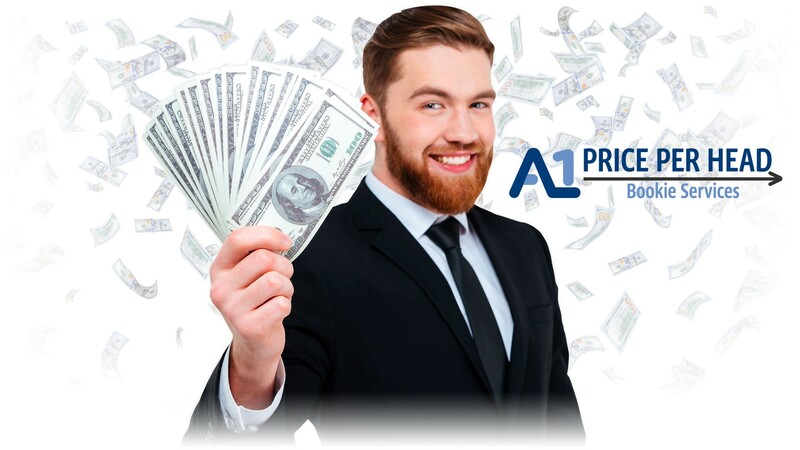 And when you have a great PPH service that frees you up from many of the administrative tasks associated with running a successful bookie business, you have more time to do that. - You can use the schedule limit override tool on steam chasers, which effectively curbs their activity at those times when they can be expected to be following the moves of pros. You can do this specifically for that customer through the player management apparatus. - You may want to manually move the line yourself, a half-point or so, in the direction of giving the steam chaser the "worst of it." And then you will be the one who's got more value. Of course, you would (a) have to be following the market - and your player - pretty closely. And (b) you'd have to know this player's habits, because if he is not predictable he could just as easily "buy back" and hurt you that way, thus turning the value back in his favor. - You can eschew any reaction toward the player and go ahead and chase that steam yourself. This assumes that you would have outlets to lay off money, but most bookies (agents) are likely to be in that kind of position. Just remember that if you do this, you are in a spot similar to that of your steam chaser, in that you are coming in after a line move, and thus you're not beating anyone to the punch. A steady stream of profit awaits you! Sign up NOW and get the best Price Per Head bookie service available!